In the changeset view some icons are rendered while others aren't. 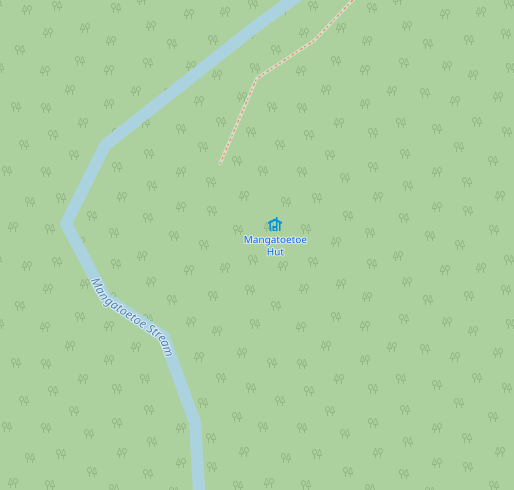 In the example below from changeset #60107869 the first node (tourism=wilderness_hut) has no icon while the second does (tourism=alpine_hut). Both render fine in the map view - it is only the changeset list that doesn't render them. The tooltips for both hut types display the tourism tag, so it seems as though something is recognizing the important tag already, it's just the icon that isn't displayed. For reference, issue #540 added the wilderness_hut rendering. Assuming this is a bug (or feature request), where would I log it? Thanks @kocio, that's exactly what I was after. Looking at that stylesheet I would have expected to see a few more icons as well, so maybe there's some criteria on what's included. I'm not involved in website development, so there may be some other problems or requirements, but it looks like very easy from a technical point of view to add more of the missing icons there. In case of any rendering problems with this map style, please open new tickets on https://github.com/gravitystorm/openstreetmap-carto/issues . What aren't my changes showing?